In a recent interview, Jonah Hill said that this film became his “best friend.” And in that sense we experience his joy in each frame. Hill cast it right, he approached it right and even in the harshest moments in the film were honestly right. 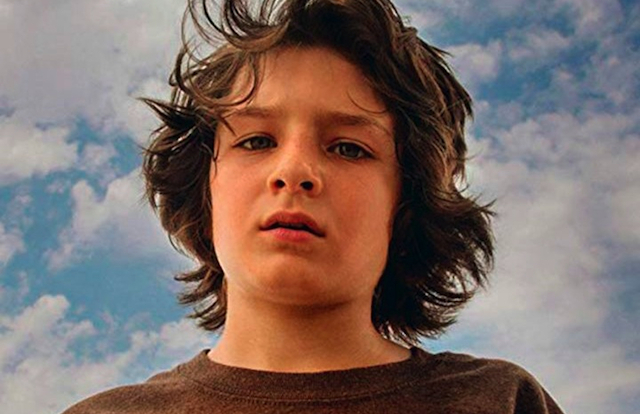 The lead boy, portrayed by Sunny Suljic (“The House with the Clock in Its Walls”), amazingly takes on the innocence of desire in wanting to belong, and then growing up through that opportunity. The young actors portraying the skateboard buddies are also naturalistic, with a particular kudo going to Na-kel Smith. He handles a key scene with a perfect sensitivity, totally believable for his age and background in the film. I look forward to seeing more from Jonah Hill. Stevie (Suljic) is a typical 13-year-old boy, being raised by a single Mom (Katherine Waterson), and tormented by sadistic older brother Ian (Lucas Hedges). He longs for a break out, either through his relationship with Ian or another discovery. As if on cue, he finds a group of skateboarder buds, and buys a board to join up with them. There are implications to this new life. The boys like their cigarettes, booze and pot, along with introducing Stevie to the temptations of coupling with girls. The young boy starts to lead a double life, innocent pubescent by day, raging skater boi by all other free time. When his mother finds out, everything could change.